When a social worker and a truancy officer show up at Finley Rhodes’ cottage in Ocean Grove she knows her life is about to change forever. She just didn’t realize how much. At sixteen, she’d grown up fast, having the responsibility of taking care of her mentally ill mother, holding down a job to pay the bills and dropping out of school to do both. 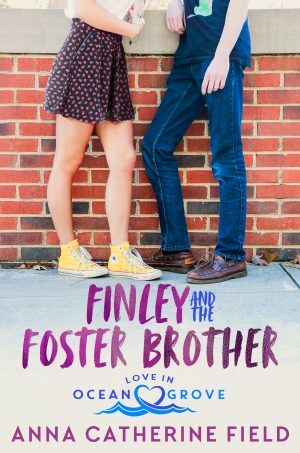 When her case manager tells her she’s being placed in foster care, Finley never expected her new home to be in the exclusive gated community and she certainly never thought she’d attend The Academy, a school for the privileged and elite. But the biggest surprise comes from down the hall. Her new foster brother, Chase Powell.